The problem with PaaS is that it might typically come with a specific set of components that aren’t always the ones developers want. As a result, developers started to move to a form of infrastructure as a service IaaS often called containers as a service (CaaS), such as AWS Elastic Container Service. You can containerize an app, but that isn’t easy if it’s a legacy app. You still need all the deployment scripts and binaries and all the environmental variables, including storage. With PaaS, that gets even more complicated. PaaS is challenging for legacy applications, but even for ‘cloud-new’ apps, developers complain that they can’t use the latest and greatest technology. But a PaaS could potentially speed up certain aspects of development and deployment, especially with microservices. The real issue, however, is that microservices deployment requires a more efficient application protocol for microservices communication. IaaS is usually bare bones storage, network and compute with no software. However, companies like Netflix, Yelp, and Shopify have all built what is essentially their own PaaS, specifically for their needs. So when it comes to deploying microservices, you basically have two choices: infrastructure you run or infrastructure someone else runs. The tradeoffs are basically the same as any other infrastructure, because you may offload to an IaaS or PaaS provider, but it comes down to cost, capability, capacity and compliance. It comes down to deploying to an infrastructure that provides the needed capabilities with sufficient capacity at the right cost in a compliant manner. Also, you can’t rule out the fact that serverless technologies play a major role in microservices management, development and deployment. For example, there are serverless AWS step functions used for coordination and workflow management that bring together microservices implemented using serverless Lambda or compute resources such as Amazon EC2 and Amazon ECS. Whatever path you take, it has to match not just your business but your operational needs. Ask what you can you realistically manage in the different environments and select the right one. We often think of microservices in terms of decomposing applications, but nowadays when we decompose an application it may only result in three to five tiers. Therefore you may have to gravitate toward IaaS just because that will provide more flexibility. The movement towards Java-based microservices led some to wonder whether this development might curtail the use of .NET and negatively affect .NET developers. There is still a sprawling Java ecosystem, and many see Linux as the de facto standard for containers. There’s an argument that the future of Java and the Java virtual machine in a containerized, orchestrated world could eventually pose a threat to .NET. “Java makes a much more compelling argument as the enterprise language for writing high-scale microservices,” said Tal Weiss Tal Weiss, CTO and co-founder of OverOps, a software analytics company focused on large-scale Java and Scala code bases. But there isn’t necessarily any evidence that microservices will drive .NET into obscurity. Microsoft made a concerted effort to improve the process of developing microservices in .NET with Azure. “They are putting a lot of weight behind promoting .NET for Azure adoption, and they’ve made it easier to spin up a microservices environment in .NET than it was five years ago,” said David McCarter, a Microsoft consultant. For instance, Microsoft pushes .NET and its Azure platform for organizations that want to re-factor an application and run them in the cloud. But it’s important to keep in mind that many organizations want to remain vendor-agnostic and work with a broad scope of technology providers. It used to be that companies would select one or the other — or perhaps reserve one for only certain roles. But microservices are conceptual, and not tied to a specific application framework like Java or .NET. Expect Go, Python and Node.js to remain big names in the microservices space. Industry experts say that ESBs are dead, but as Ira Gershwin wrote — it ain’t necessarily so. Gartner VP Roy Schulte coined the term enterprise service bus (ESB) in 2002 during the technology’s early days, and just two years later some IT experts already declared it dead. More recently, ESB product sales have flatlined, as the centralized, hub-and-spoke IT environments ESBs support are replaced by loosely-coupled cloud middleware, namely iPaaS and MWaaS, said Elizabeth Golluscio, a Gartner analyst . But enterprises aren’t dumping ESB products willy-nilly, because ESB products handle requirements newcomer technologies can’t. Also, enterprise IT has found that breaking up with monolithic ESB-based middleware is hard to do. Middleware revenues will peak at $30 billion this year, but despite the double-digit pace of iPaaS and MWaaS investments their sales will account for only a fraction of that market. Most middleware spending will go to maintain and upgrade ESB and SOA infrastructures, as large enterprises continue to do complex integrations and messaging that iPaaS can’t handle such as data-intensive and hybrid integration processes, said Saurabh Sharma, principal analyst for Ovum, a UK IT research firm. On the messaging side, an ESB product is best-suited for pub/sub messaging in asynchronous communications and message queues, Golluscio said. “The messaging model for integration or event handling is not something that the iPaaS tools do well yet,” she said. However, iPaaS vendors have pulled together classic integrations, API management and event mediations, and on the open source messaging side, Confluence and Kafka are coming on strong, she said. Despite the strengths of on-premise ESB products, most of their capabilities will inevitably move to the cloud — but this is not a simple process. “It is very hard to move away from ESBs, which literally have tentacles connected to every important system in an enterprise IT environment,” Golluscio said. Change management factors and reaching consensus between business and IT ultimately slow down MWaaS adoption, Sharma noted. Both analysts say a shortage of ESB expertise is a hurdle. To break up ESB product monoliths, some IT teams adopt a phased approach to focus on new integration projects with only MWaaS, Sharma said. Integration workloads that run on-premises gradually migrate to iPaaS, and developers will chip off ESB features into microservices. In many cases, enterprise IT adds an iPaaS and an API management tool to their integration infrastructure, Golluscio said. They start with an ESB-based system, and use an Extract-Transfer-Load (ETL) tool for data integration, and then migrate to iPaaS and implement API management. Reduced dependence on legacy ESB products is a challenge but pays dividends, with lower costs for both technology and staff. “The old joke was that the ESB middleware market was like the haves and the have-nots; only a certain number of companies had the money to buy and the resources to deal with ESBs,” Golluscio said. iPaaS’ ease of use and pay-per-use attracts companies that lack the internal expertise or money for legacy ESBs. They certainly don’t require a deep bench of rocket scientists to use, Golluscio said. “Finally, the democratization of enterprise tech has finally hit the integration space,” she said. There’s a lot of information about DevOps out there, making it hard to determine exactly what it means. However, there are still key principles you can stick to in order to achieve success through DevOps. Here are four questions that, according to our experts, you should be asking when thinking about your DevOps strategy. 1. Have we established a zone of business impact? DevOps tasks should be clearly connected to the applications they support, and businesses should in turn identify the business processes those applications support. This lets organizations map out what is referred to as a zone of business impact for each DevOps process, and it’s a fundamental part of DevOps documentation. That way, as expert Tom Nolle points out in his piece on the connection between DevOps and enterprise architecture, the impact any DevOps strategy has on business processes — even if the impact is simply a risk of disruption — can be planned for ahead of time. This will also ensure that development teams understand the business process lifecycle, or even lifecycles, that their application may impact. 2. Are we deploying continuously? Implementing continuous delivery means that changes to your application are created and deployed on an ongoing basis. If your apps are not being delivered continuously, it’s important to start thinking about building a continuous delivery pipeline for them by making sure that everyone involved in app development and delivery is working together. According to expert Chris Tozzi in his piece on applying DevOps principles to app modernization, part of this means ensuring you have the infrastructure tools in place to roll out changes quickly from development to production. 3. Are non-IT departments involved? Everyone who plays a role in software delivery, including those not in the IT department, should be plugged into a project, advises Tozzi in his piece on DevOps principles to apply to software architecture. Those in customer support, legal and HR departments have a stake in software production. A DevOps-friendly environment should ensure these non-IT stakeholders can collaborate with developers and IT operations staff as needed. Otherwise, nontechnical issues could hinder continuous delivery efforts. 4. Are we going all the way? Those who do not go all out in terms of cultural acceptance and fully transitioning to all the required tools are going to have a hard time adopting a DevOps strategy, says Twain Taylor in his piece on common mistakes made when transitioning to DevOps. Some of this, he says, involves making significant changes to your infrastructure, like transitioning from servers and virtual machines to containers. Mike Brito, sales engineering manager at HPE, explains to attendees of the Docker MTA Roadshow the basics of their MTA program. 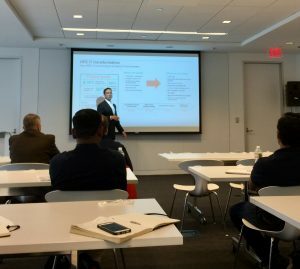 Docker and Hewett Packer Enterprise (HPE) hit the road this month to demonstrate their recently launched Modernize Traditional Applications (MTA) program, designed to help enterprises update their existing legacy apps and move forward with their plans for digital transformation. The presentation was focused on their new program, but Docker’s MTA Roadshow also revealed some common misconceptions C-level execs have when it comes to public cloud hosting for workloads. One misconception, explained John Orton, workloads in order to determine where they are best suited to live and will perform their functions most efficiently. 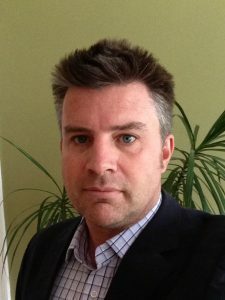 While some have been in a rush to migrate almost all of their workloads to public clouds, Orton pointed out that many organizations should not forget that there are a large number of applications that may work at least equally well, if not better, on a private cloud or even bare-metal infrastructure. “I think there’s a lot of confusion in the market about workloads and where they should live,” Orton said, adding that too many companies who have migrated workloads to the public cloud did so without an “exit strategy” that allows them to easily move those workloads back to a private cloud or bare-metal infrastructure. “Before we decide where these workloads live, let’s take a look at what existing value there is in our infrastructure,” Orton said. Ken Lavoie, solution engineer at Docker, went so far as to liken C-level executives still pushing initiatives to pursue public cloud hosting to modern day “Don Quixotes,” chasing after a technology that he said has gone past its prime. By leveraging the power of container technology, he said, these enterprises can make use of private clouds or bare-metal infrastructure in a way that surpasses performance in the public cloud. There’s certainly no reason to say that the days of the public cloud hosting are over, but when a vendor like Docker who basically “covers the bases” when it comes to deploying on the public vs. private cloud, it makes you think that maybe they’re onto something. That certainly does not bode well for those still deploying in the public cloud, or the vendors invested in it.